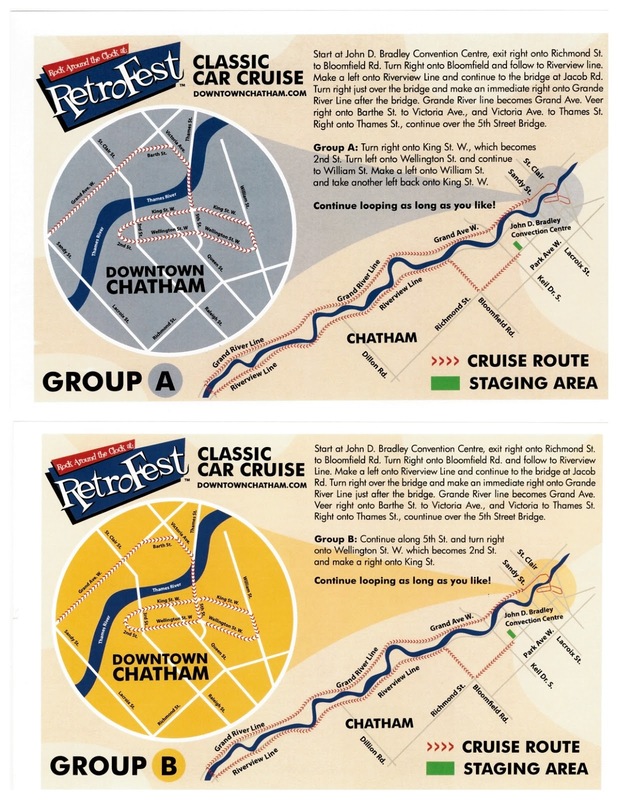 Retrofest - A FULL Line Up of FUN! 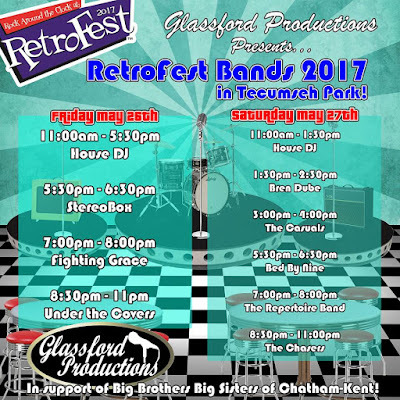 Retrofest - THIS Weekend. Be there! Oh it's here! My favourite weekend of the year....RETROFEST! 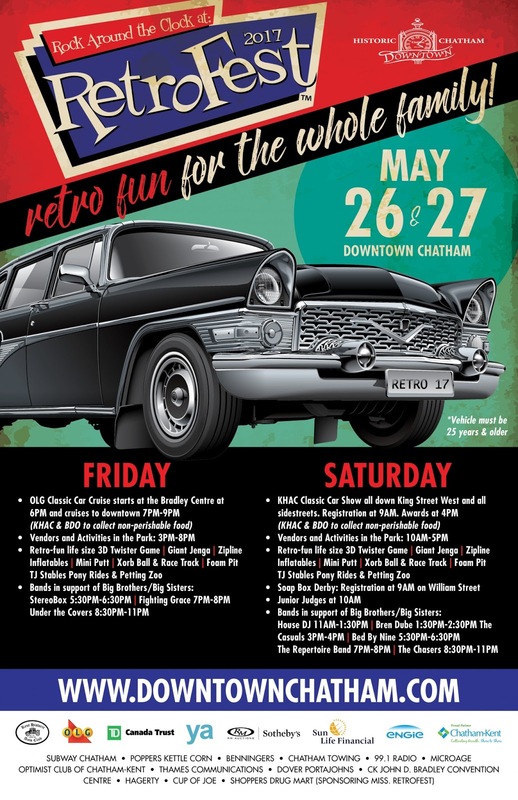 Hop in the car and cruise to the downtown core where you will see Chatham at it's BEST. 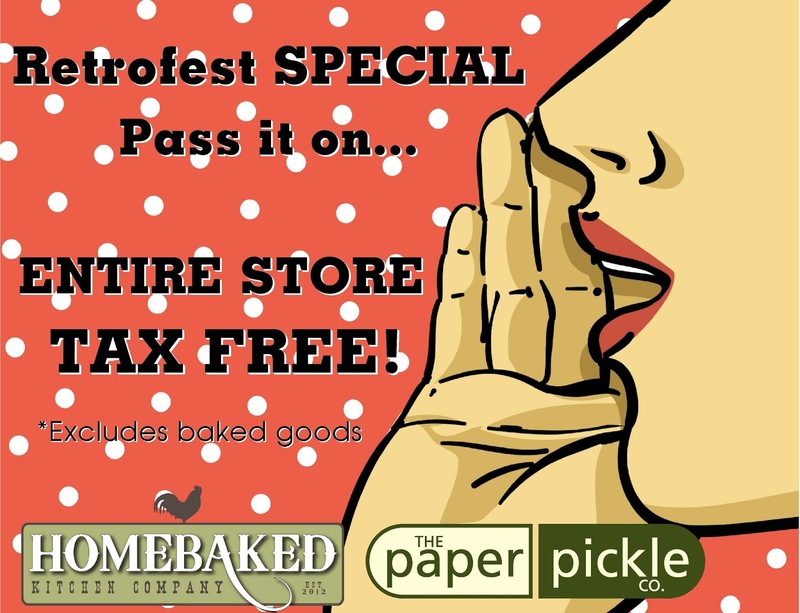 Enjoy tax free savings on all items at The Pickle PLUS Homebaked Kitchen will be offering tax free savings on all her beautiful wares (sorry but baked goods are excluded). The store is STOCKED and waiting for you to explore. You should see the extra special treats Jen has prepared especially for you. 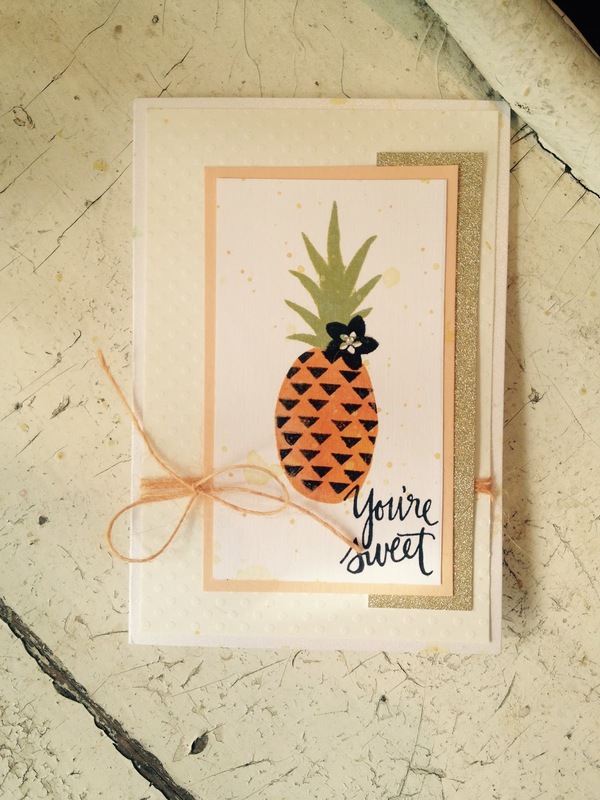 We've got the sweetest little make and take card for you Saturday. Join us between 10-3 and make this adorable card. We are using the stamp set from Concord & 9th. Work with those beautiful hands and feel like a kid again. Or if you are a kid, show us what you've got! Well my little entrepreneur wanted to try her hand at a little business venture. Welcome Sugar Puff's Slime! 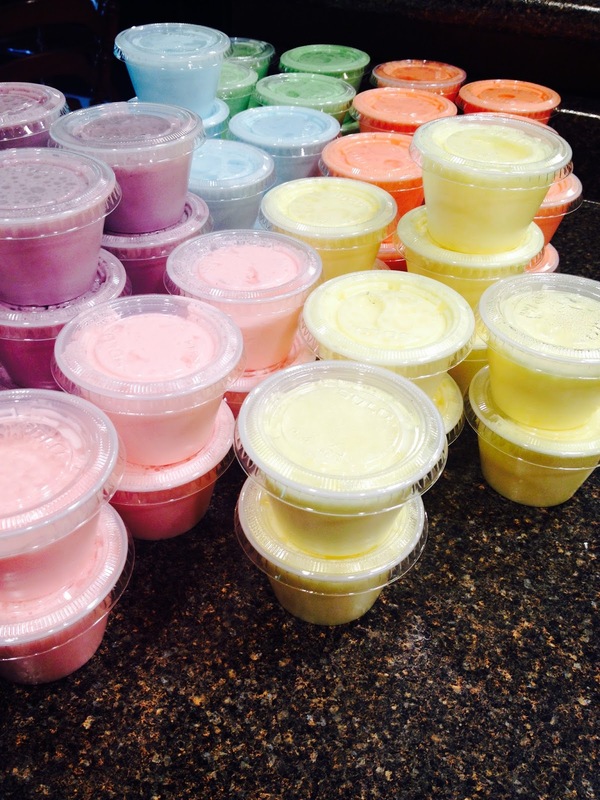 Julia will be officially launching her slime business Saturday. She has 6 beautiful pastel shades to share with you. A nice size container for little and big hands alike is only $2. Get it while you can! For those of you who do not know, slime is taking the internet by storm. You've got to check it out. The Pickle Station will be showcasing all 4 family members on Saturday at The Paper Pickle. Become acquainted with Grandad, Mama, Baby and Papa! We have brought these to our paper crafting shows and the attendees cannot get enough. We have people driving across Ontario to get their hands on just one more jar! Most of the time, they cannot even wait to get to their cars before they dig in. Yes. They are THAT good! Oh. You know. It's all happening. It's all happening THIS weekend in my favourite town....my town. Chatham. Retrofest weekend is upon us and I can't wait. I had a little walk down memory lane before I wrote this post. Have a little click on the left hand side of the blog under "labels" and then click "retrofest" if you want to go down that lane too. 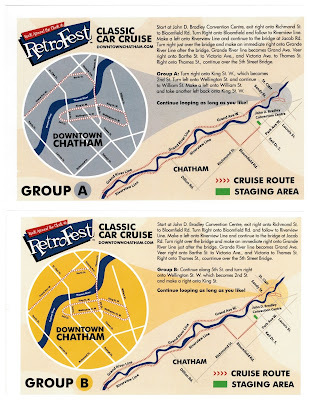 You know I love to gush about how cool our downtown is and oh how Retrofest brings out the best in us! If you have yet to visit Retrofest, this is THE year. We are now in our 17th year so we must be doing something right. 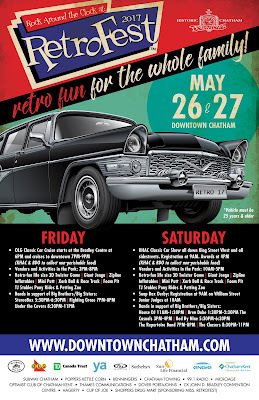 It all begins with a cruise on Friday night and then hundreds and hundreds of vintage cars line the downtown streets Saturday from very early morning 'til dinner time. It is a sight to be seen. Here is the cruise route Friday night. As you can see there is a sweet line up of live music both Friday and Saturday. Here's a little video I found telling you more about this incredible event. You know we like to have a little fun at the store in celebration of Retrofest. 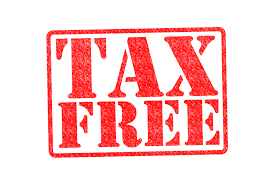 This Friday and Saturday, enjoy TAX FREE on the entire store. 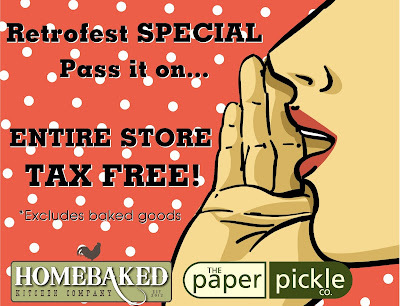 Homebaked Kitchen is also offering TAX FREE on all beautiful items (excluding baked goods). We will also be having a FREE make and take all day. Join us! Julia is so excited to share her card with you. 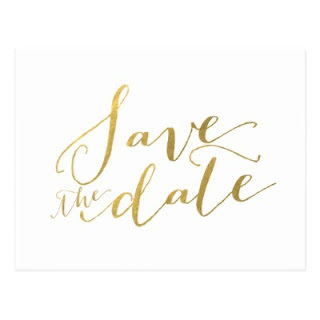 We will have family from The Pickle Station sampling pickles. I have heard from many pickle connoisseurs who say that The Pickle Station brand is the BEST they have EVER tried. I may be a little biased, but I think so too! Paper Pickle Fact #87 - Did you know that the Grandad character above is a cartoon drawing of my Grandfather, Norm who started the cucumber grading operations over 50 years ago. It is so nice to know his spirit lives on through my families line of pickles! Well if this isn't enough to get you downtown Chatham this weekend, I don't know what else I can tell you. 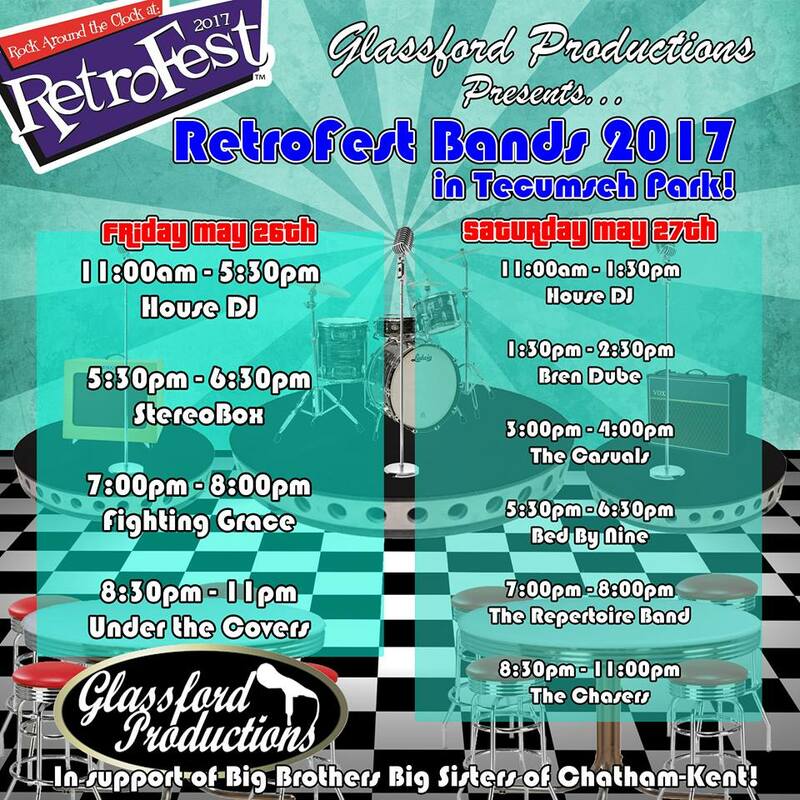 Retrofest Chatham 2017. Be there or be square. Woot. Woot. The third Saturday of the month already? Kick off the long weekend with us. I promise you will have fun! The free make and take runs from 10-2 and all ages and levels of crafter is welcome. Hope to see you Saturday. Oh my! Look how little she looks here. I found this photo of one of our smashing sessions from years ago. Must have been when washi was just becoming all the rage....oh my! Thank goodness each roll has something like 15m! CRAFTING of course! I mean what else could you do? Now don't tell me you're going to spend the day tackling a closet or junk drawer organization. Spend some time for YOU. Yes, you! Being creative and working with your hands calms the soul and allows you to recharge for the week ahead. products I love, beautiful stationery and more. this gorgeous line of bath product.....oh how life can be so sweet. My plan (once I am done at the store today...open 10-3 just in case you were wondering♥), is to work away on my SMASH Books (yes, plural). I have a pretty box full of pretty clippings from my Real Simple magazine, concert stubs, stickers and more that are calling my name. As much as I love gardening, I am thrilled to have this weekend for a little play time. I think know I deserve it and you do too! Oh wow! I think you guys are excited for our classes. I love it! There are still a few spots left in Debbie's Card Class and Hilary's card class....but not many. Please call or stop in to reserve your spots. Details can be found on the post below (May 3). Christy's watercolour classes have completely filled but never fear. We have added a third date. Please see below for details. I know that foils and rub ons can be intimidating but they are so much fun to work with and create such a fabulous effect for your project! There are different title available - hope, family, dream, just to name a few! You get to choose your own! 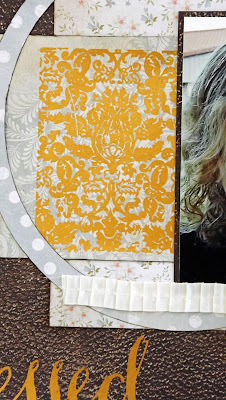 Don't be intimidated by pattern on pattern - its fun! And the set of foil lines finish it off! Well it is obvious that you like Christy just as much as I do! You are in luck. Christy has agreed to run a third class. Join us! This class will not last long. Please call the store to register or stop in during store hours. Beautiful cards with new and wonderful techniques! Work with perfect pearls and multi stamping technique to create an elegant birthday card. 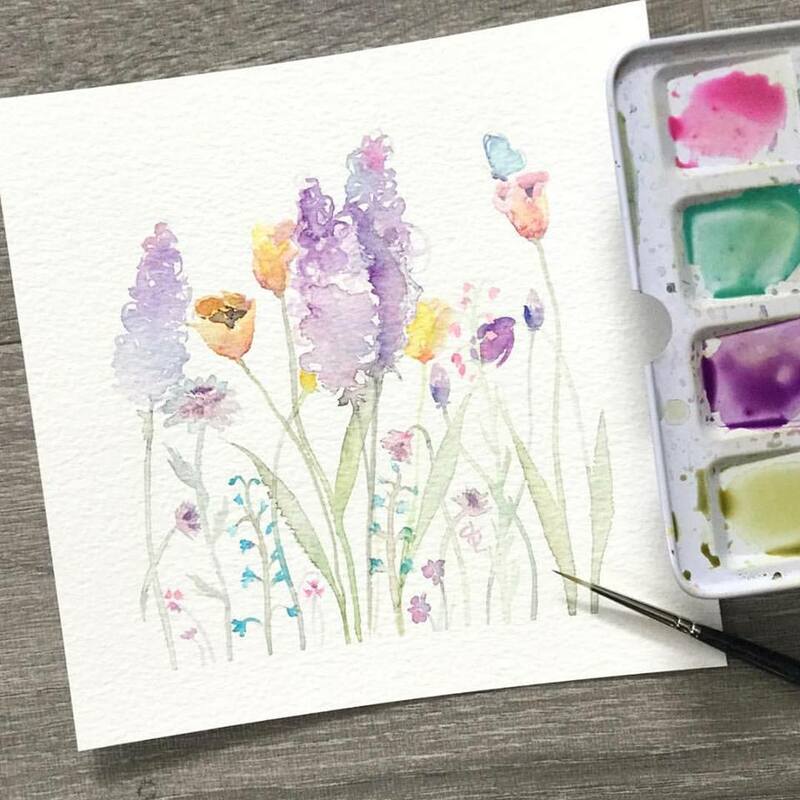 And have fun "playing" with Magenta's nuance powders to create a watercolour background like no other. All levels welcome. Join us! The queen of technique is back with two new cards to wow you with. 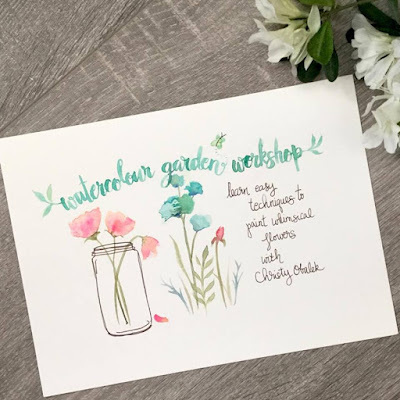 This class is all about playing with product on watercolour paper to create backgrounds that are incredibly versatile and oh so fun! 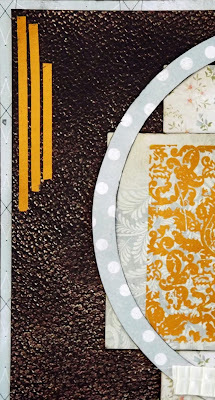 Hilary will teach you her tips on these techniques using stencils, inks, stamps and more. Remember my friend Christy who is an artist and owned Dekoko's (the shop we once shared space with)? 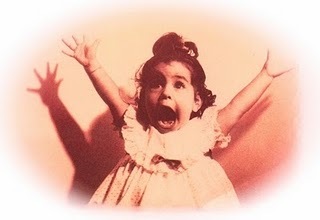 Well I am thrilled to say that she is teaching at The Paper Pickle! Oh how I have waited for this day. 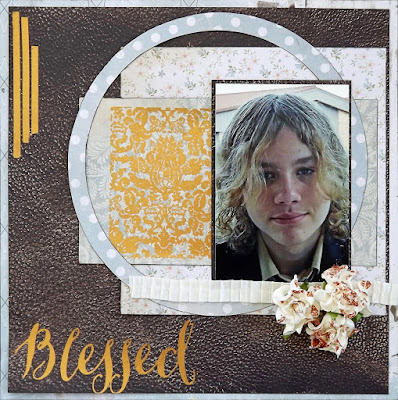 Have a look at this gorgeous masterpiece that YOU will create using Prima's Watercolor Confections (which Christy LOVES by the way). This will be a 6x6 watercolor piece that you can frame. More of Christy's art can be viewed here. 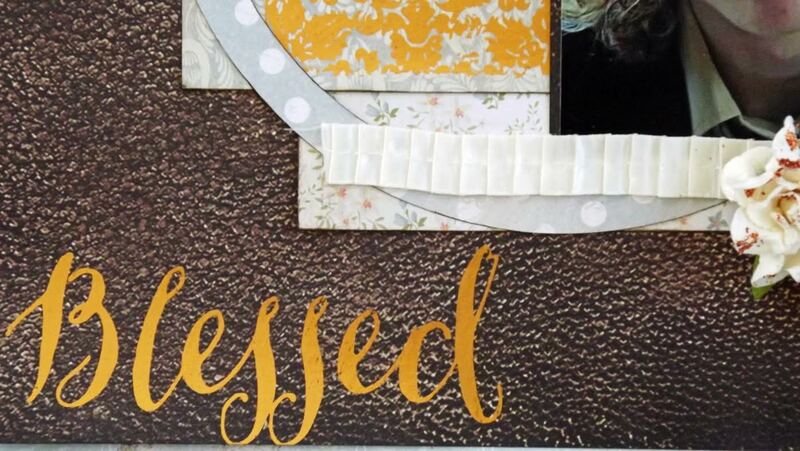 This class is in the works.....Please save the date for a single, 12x12 layout using foil on Thursday, June 1 from 6-8pm (Cost $22+HST). Pre-registration is certainly welcomed and I will post the layout soon. You can register in person during store hours or call 519-351-5220. Because seats are limited (6-12 per class depending on teacher), prepayment is required. You can call in a credit card or pay during store hours. All projects are at the store for viewing. Trust me....they are all so gorgeous in person and my photography does them no justice. Join us! We would love to have you!